It’s been a week since my last post, and well, I truly wanted to post but for the last week I was battling a cold. The only thing that I could possibly blog about would have been tissues, nyquill, sneezes, and soup. I thought I’d spare everyone the boredom and take a little blogging break! A week later and my cold is DONE (thank god!). Now that I feel better, I finally feel like I can resume my normal workouts, eat a wider variety of foods, and go back to the regular flow of life. 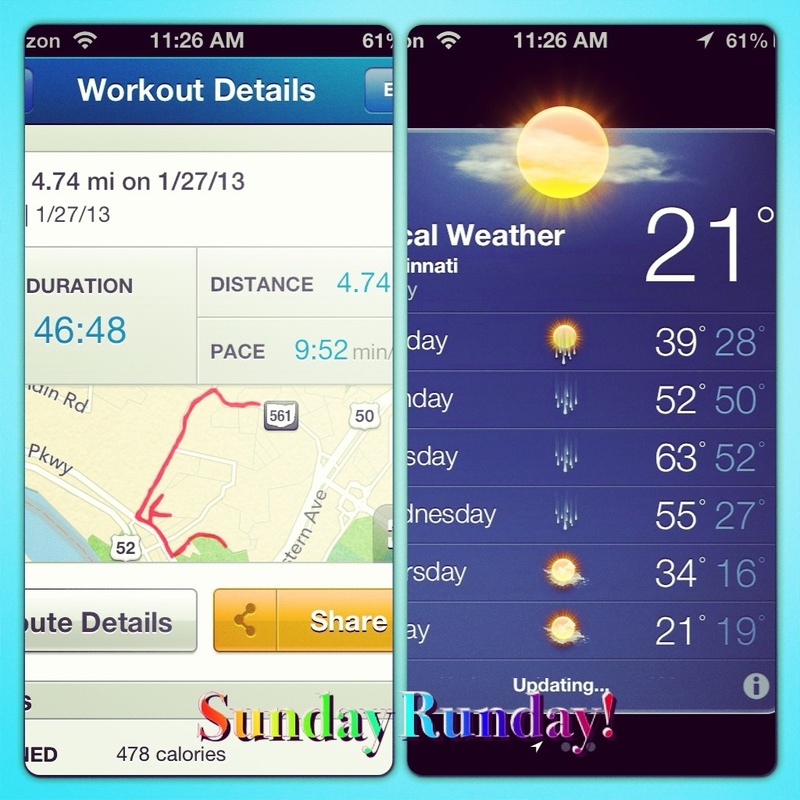 Yesterday I ventured out for a run for 1/2 marathon training. My schedule called for a 4. 5 mile run which is the farthest distance I’ve gone in quite some time! I missed my training run with the running group Saturday because I was still feeling iffy, so I decided to run alone on Sunday. The temperature was a brisk 21 degrees! It was hard for me to adjust to the cold temperature for the first five minutes, but I eventually warmed up. In the beginning of my runs in the cold, I try to inhale through my nose and exhale through my mouth. Now, I don’t know if there is any proven science behind this, but your nose helps to filter, moisten and warm the air making it less harsh on your lungs. I try to do this type of breathing at the beginning of my run to get my lungs used to the cold air! Overall, I was pretty happy with my pace! Since I hadn’t been training because of my cold, I was worried that I’d go too slow. I was pleasantly surprised to see that I was going at a sub 10 min/mi pace! My goal is to continue training at around this pace.